Does this storm look like a Deirdre? Or more of a Tristan? 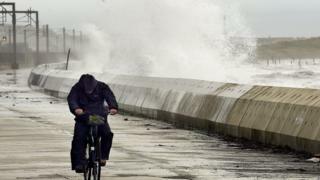 Storm Gareth is having its say - with more rain, wind and dangers of flooding. We have also had Storm Freya, and Storm Ophelia was one of the biggest storms to hit the UK in 2017. Before that we had Storm Aileen and Storm Doris. The Met Office, which keeps track of the weather here, have released their list of names for 2018 and 2019. On it is: Ali, Bronagh, Callum, Deirdre, Erik, Freya, Gareth, Hannah, Idris, Jane, Kevin, Lily, Max, Niamh, Oliver, Peggy, Ross, Saoirse, Tristan, Violet, Wyn. The Met Office decided to start giving storms boys and girls names back in 2014, in the same way they do in America. The first windstorm to be named was Abigail on 10 November 2015. 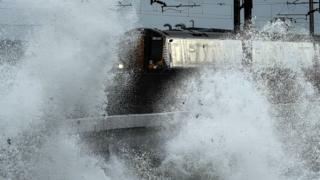 The Met Office hoped that naming big storms will make people more aware of them and how dangerous they can be. They think it will be easier to follow the progress of a storm on the TV, radio, or on social media, if it has a name. 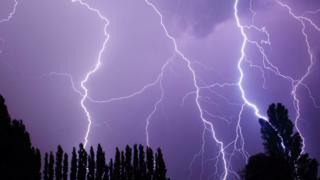 Derrick Ryall, from the Met Office, said: "We have seen how naming storms elsewhere in the world raises awareness of severe weather before it strikes." How are the names picked? 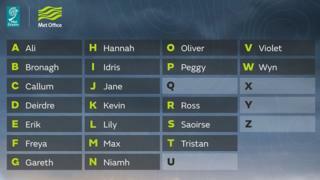 In September 2015 the Met Office started a special campaign called Name Our Storms, asking the public to send in their suggestions for names. The most popular names put forward by the public are made into a list along with other names suggested by Met Éireann (Ireland's equivalent of the Met Office). What are hurricanes, cyclones and typhoons? The Big Question: How do we predict the weather? They're not currently looking for any new names, but if you do have an amazing suggestion you can still send it to the Met Office for future consideration. But not every storm to hit the UK, gets its name from the list. Lots of storms start off in the US before crossing Atlantic towards the UK - to avoid any confusion, they keep the name they were given by the National Weather Service in the US. How big do storms have to be to get a name? Not all storms will be big enough to get names - only those expected to cause significant damage. A storm will be named when it has the potential to cause an amber 'be prepared' or red 'take action' warning. Who decides if they're named after girls or boys? 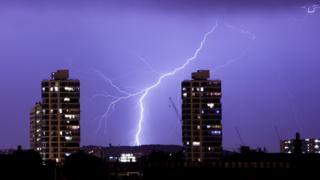 The UK storms will take it in turns to be girls' or boys' names. Strangely, research shows that hurricanes with female names are more likely to hurt more people than those with males names. Scientists think that's because people find female names less threatening. Which storm name will be picked first? They will be taken from the list in alphabetical order. But there are no storms that start with the letters Q, U, X, Y and Z. That's because the US National Hurricane Centre leave out names that begin with these letters. National Oceanic and Atmospheric Administration (NOAA) spokesman said: "It's just too difficult to find names beginning with X,Y and Z." 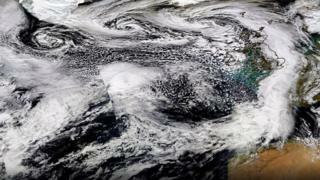 The Met Office have done the same thing, to make sure official storm naming in the North Atlantic is consistent. Is your name on this year's list? Let us know how'd you feel sharing your name with a storm. What's the difference between hurricanes, cyclones and typhoons? That would be so cool if that was true!